New Vision Optical Wilmette, each member of our vision care team is selected by Patrick Takata based upon his or her experience, professional demeanor, and dedication to providing personalized care to our optometry patients. Whether you're looking for a Wilmette eye doctor who can provide ongoing eye care or you’re seeking the most stylish corrective eyewear in town, New Vision Optical Wilmette has got you covered. Our clinic has been serving the needs of the Wilmette community for over 39 years. We can evaluate patients of all ages, from small children to seniors, providing them with treatment plans for any eye or vision problems we may find. We're also happy to counsel, guide, and educate our patients so they always have the necessary information to make the right choices for their ocular health. Our services are listed below. Comprehensive eye exams are your family's first line of defense against eye diseases and vision disorders. Our optometrist in Wilmette, Dr. Torres, can examine your eyes inside and out for any signs of diseases that might threaten your eyesight. Annual exams, therefore, allow us to provide the earliest possible treatment to keep your vision in optimal shape. We check your retinas, optic nerves, corneas, lenses, and internal eye pressure, while also evaluating your eyes' ability to function as a team. 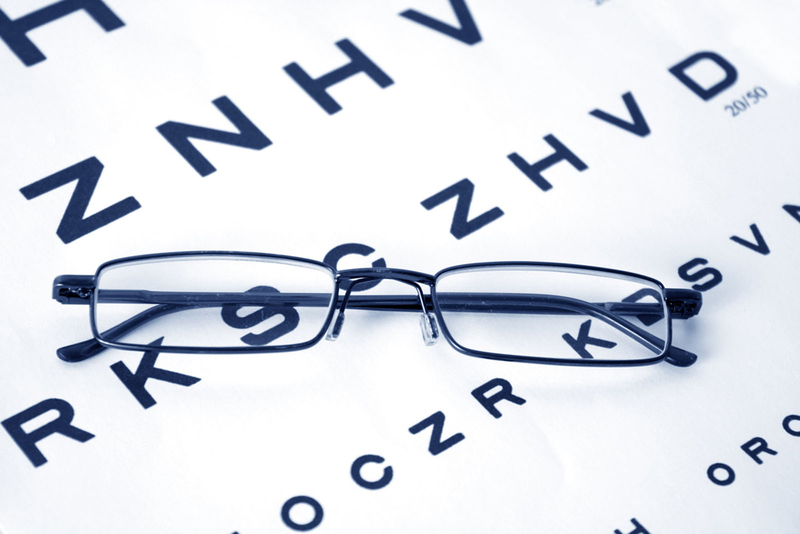 Our vision testing methods enable us to discover whether you need a new or upgraded corrective lens prescription. Contact lenses can correct your vision easily and conveniently, but only if they're fitted with the utmost care. Our optometrist in Wilmette conducts detailed contact lens exams to measure your eye structures and determine whether your prescription or overall ocular health calls for a specific type of contact lens. Depending on your needs, we can fit you with options ranging from single-use disposable contacts to extended-wear or moisture-retaining contacts. We also offer specialized contacts such as toric lenses, scleral lenses, and multifocal lenses to help you cope with "hard to fit" conditions. The optical team at New Vision Optical Wilmette knows eyeglasses and sunglasses like nobody else -- and we have the selection to prove it. You'll love the range of designer frames, in all styles, shapes and colors, that we can provide for men, women, and children. We also offer a number of lens options, from high-index or polycarbonate plastics to anti-glare or anti-scratch coatings. Our prescription and non-prescription sunglasses provide full UV protection to keep your eyes safe against harmful radiation. The best way to explore the many features offered at New Vision Optical Wilmette is by visiting our clinic. Make an appointment with our optometrist in Wilmette through our online scheduling tool or call 847-251-3330! "Want to give a shout out to Patrick Takata at New Vision. Stopped in for a minor repair on my sunglasses and not only did he take care of it right away, he did it for no charge. I would highly recommend this business!"